Are you dealing with health issues? Are you in pain, either physically or emotionally? “Yes” means that your Body’s Self-Healing Mechanisms are out of balance which can result from physical or emotional shock or illness. The causes are enormous, and can stem from childhood, environmental pollutants which we breathe, drink and eat, as well as occurrences in our daily lives. You and your body need assistance. I can provide that. My work encompasses a broad range of therapeutic tools that access and facilitate your Body’s Self-Healing Mechanisms so that optimum healing can take place … physically, mentally and emotionally. As a long-time practitioner of Chinese Medicine and Manual Therapies, I have witnessed numerous cases of healing, often after many other avenues for help became a dead-end. 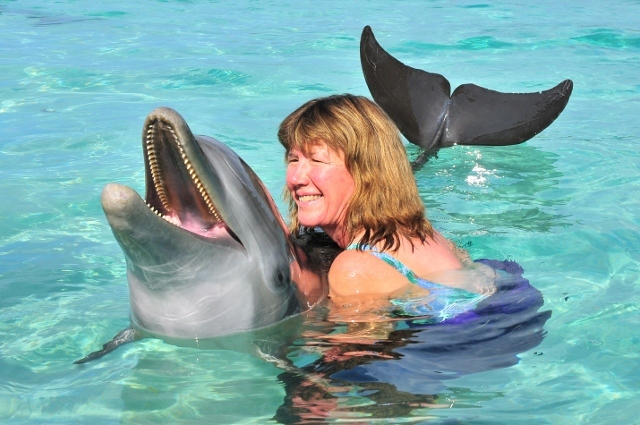 In some cases treatments with Acupuncture and Herbal Medicines were the best techniques of choice, other times it was treatments with Cranial Sacral Therapy or Visceral Manipulation, or Biovalent Systems, combined with Somato-Emotional Release, or other Therapeutic Modalities, including some very unique Therapy in the Water with Dolphins. Usually, the best approach is finding the right combination of treatment tools that uniquely suits you. I would be honored to help you find and utilize that unique set of tools. Please contact me if you would like to arrange a free 15 minute consultation to help assess your needs. Or you may simply book an appointment or register for a Dolphin Program retreat and join me in Roatan, Honduras.